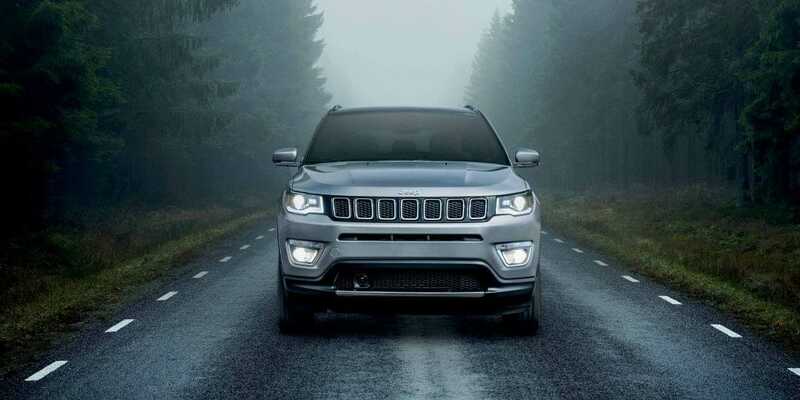 Jeep has truly taken control of the SUV class, and the Compass is just another impressive addition that takes Jeep capabilities and puts a twist on them. 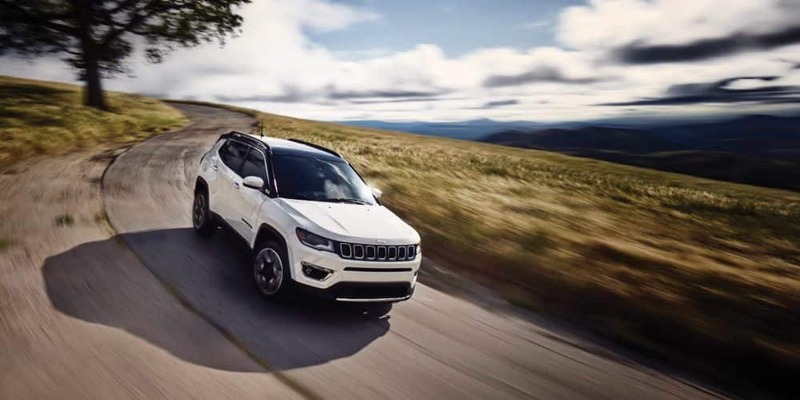 The Compass is perfectly placed between the Renegade and the Cherokee, and the size allows for easy handling, quick parking, and no worries about fitting in your garage. 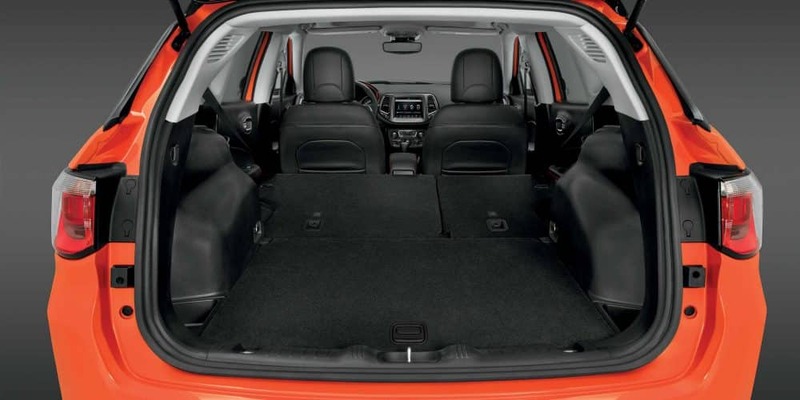 The 2019 model in particular still offers roomy seating, offers a minor shuffling of the feature availability, and comes with only the best quality of interior materials. 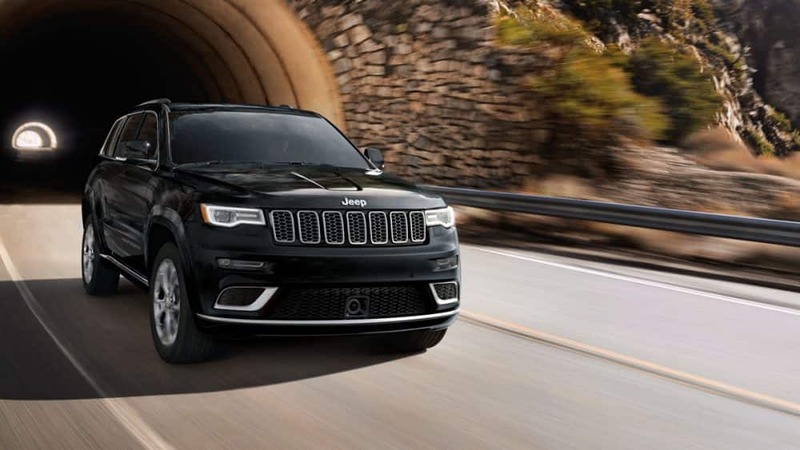 This doesn’t even touch on the off-roading capabilities, especially with the Trailhawk trim. 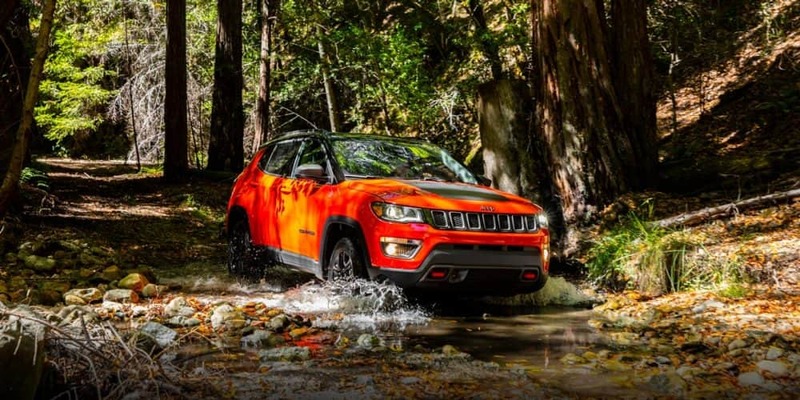 In fact, the Compass is the perfect opportunity to get your feet wet with off-roading adventures, while still remaining a comfortable on-the-road presence. Want to see what else the Compass has to offer? Keep reading down below as we talk about the trim lineup, the standard engine, and safety features. What safety features come with the Compass? If you’re at all worried as to whether or not the Compass has the safety features to back up its capability, then worry no more. Jeep has made sure to outfit this SUV with the latest in safety technology. This means you’ll have access to features like adaptive cruise control, blind-spot monitoring, rear cross path detection, a ParkView rear back-up camera, seven standard airbags, a ParkSense rear park assist system, and full-speed forward collision warning. What trim options come with the Compass? In order to give you the best selection available, the Compass is offered in four different trim levels. 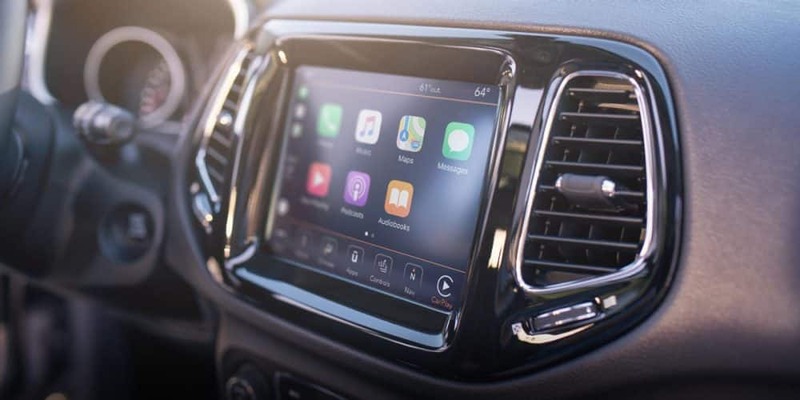 The first trim, known as Sport, comes standard with air conditioning, a USB port, 16-inch wheels, a 6-speaker sound system, a 7-inch touchscreen display with a Uconnect system, and Bluetooth connectivity. Bumping up a trim level will get you the Latitude, which offers upgraded simulated leather and cloth seat upholstery, keyless ignition and entry, larger wheels, and a leather-wrapped steering wheel. The most luxurious trim is the Limited, which includes leather upholstery, an 8.4-inch Uconnect touchscreen, an upgraded driver information display, Apple CarPlay and Android Auto, a power-adjustable driver’s seat, satellite radio, remote start, and heated front seats. 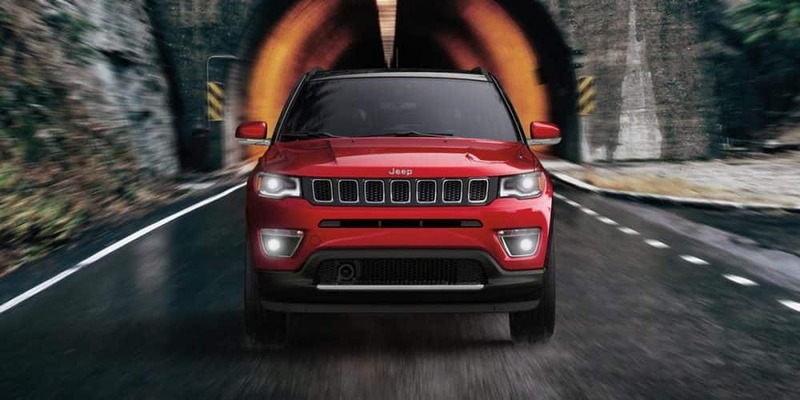 If you’re looking for a trim to take on the trails, then you need to check out the Trailhawk. This trim features red tow hooks, a Selec-Terrain system, a raised suspension, a matte-black hood accent, off-road-oriented tires, and underbody skid plates. There are many additional options you can add to each trim, like an Advanced Safety package, a Cold Weather package, and even a sunroof! The Compass, along with offering four well-equipped trim levels, comes with one standard and powerful engine. That engine is a 2.4-liter inline-4, which can pump out about 175 pound-feet of torque and 180 horsepower. Not only can this engine be paired with a six-speed manual transmission, but you can also opt for a six-speed or a nine-speed automatic transmission. Two-wheel drive is the standard drivetrain, although higher models come with four-wheel drive. With the right configuration, the 2019 Compass can tow up to 2,000-lbs, which is the perfect amount for the size of the Compass. 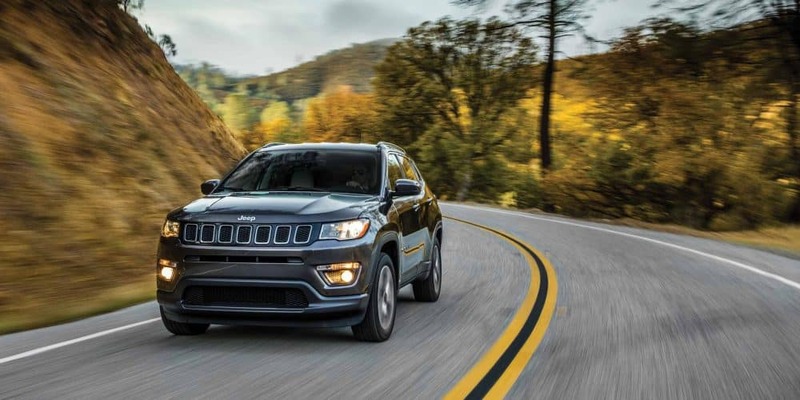 Stop your car search today and get yourself into a 2019 Jeep Compass. 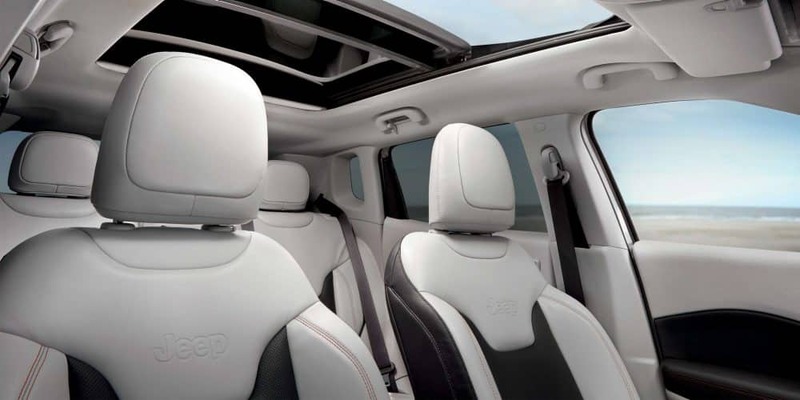 This SUV comes with luxury, capability, and that classic Jeep style that everyone wants a piece of. Test drive a Compass today and call us for any further questions that you might have.